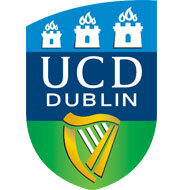 UCD is a research-intensive global university with purpose, drive and ambition. To contribute to the achievement of our mission and vision, we wish to hire additional faculty who share our ambition and our values: excellence, creativity, collegiality, engagement, integrity and diversity. The UCD College of Business is Ireland’s premier Business School delivering undergraduate, postgraduate and executive development learning experiences that transform students to become impactful business leaders. The College is diverse in outlook and global in scope and ambition. Our programmes are consistently ranked in the world’s top 100 by the Financial Times, and the UCD Michael Smurfit Graduate Business School is one of an elite group worldwide, to hold the triple crown of accreditation from EQUIS, AACSB and AMBA. The UCD College of Business consists of the UCD Lochlann Quinn School of Business (undergraduate), the UCD Michael Smurfit Graduate Business School (postgraduate), UCD Smurfit Executive Development, and UCD College of Business overseas. Academic faculty are members of one of our subject areas, namely Accountancy, Banking and Finance, HRM and Employment Relations, Management, Management Information Systems and Marketing. Focused investment in faculty recruitment and research activities over the last five years has seen 35 new faculty members join us, has resulted in a doubling of the College’s publication output in FT50 and ABS4/4* journals, and helped facilitate a 300% increase in external research funding awards. We believe in a strong research culture, with this taught leadership feeding into our teaching and other activities. Our world-class faculty lead initiatives that drive change in the world of business and beyond. From influencing EU policy on green financial systems to championing workplace equality to developing algorithms that protect society’s most vulnerable populations from financial abuse—original thinking from the UCD College of Business has a global impact. Recent major research grants include ERC Consolidator Awards, Science Foundation Ireland Awards, Irish Research Council Postdoctoral Fellowship Awards, as well as research funding for a multi-million-euro project to build Ireland’s national bioeconomy hub. Multiple faculty have developed substantial research collaborations in conjunction with industry partners. Equality, Diversity and Inclusion: UCD is committed to creating an inclusive environment where diversity is celebrated, and everyone is afforded equality of opportunity. To that end the university adheres to a range of equality, diversity and inclusion policies. We encourage applicants to consult those policies here https://www.ucd.ie/equality/. We welcome applications from everyone, including those who identify with any of the protected characteristics that are set out in our Equality, Diversity and Inclusion policy. Lecturer/Assistant Professor Scale: €52,848- €83,090 per annum (appointment on the first point of the scale).